A Pakistani court has sentenced ten men to life in prison for the attempted assassination in 2012 of Malala Yousafzai. All ten men are affiliated with the Pakistani arm of the Taliban. Yousafzai was shot three times as she rode a bus home from school, part of the Taliban’s campaign to frighten and intimidate girls into staying home. The ten men were handed sentences of 25 years each, a life sentence in Pakistan. Authorities say the chief suspect in Yousafzai’s shooting, identified as Atullah Khan, still hasn’t been arrested or charged; he’s believed to be on the run in Afghanistan along with the Mullah Fazlullah, the head of Pakistani Taliban, who ordered the attack. None of the ten men convicted are among the four or five people believed to have actually been present during the shooting; according to a Reuters report, they are Taliban members believed to have helped orchestrate the attack, according to an anonymous police official in Yousafzai’s hometown of Swat. 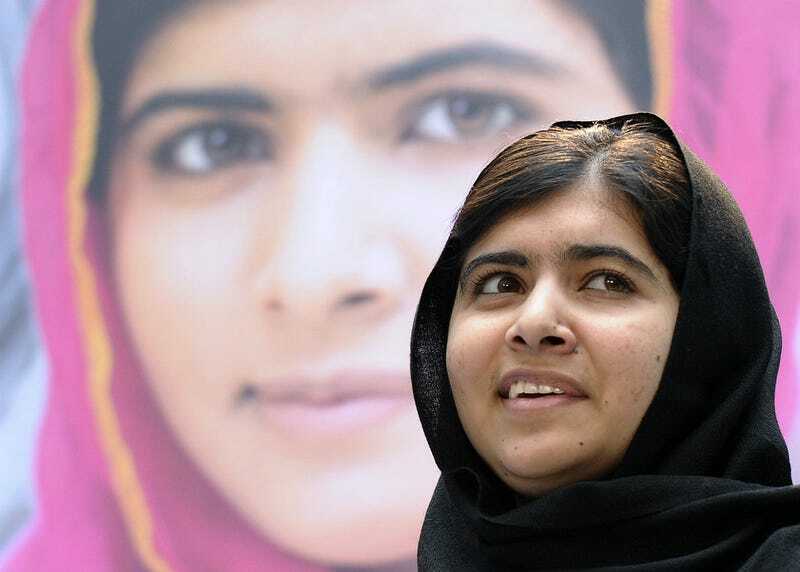 Malala, now 17, lives in England with her family and accepted a Nobel Peace Prize in December.